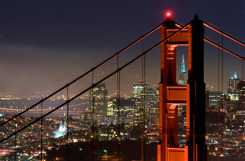 Due to our surging registrations, an overflow hotel is being secured for the big LERN Conference in San Francisco. There are still rooms available at the Hyatt Regency San Francisco for the conference dates of Nov. 21-23. Rooms are also available for Nov. 19-20, but are being handled on a priority, first-come, first-serve basis for presenters, pre-conference workshop attendees and exhibitors. We want to make sure everyone who wants to attend the LERN Conference is able, so overflow hotels are being secured for the full duration of the conference. We will update you once we have the information on the overflow hotel. If you would like to sign up for a pre-conference session, you may do so when you register at www.lern.org/conference - or by calling us at 800-678-5376. If you have any problem making a hotel reservation, call us for help. Call 800-678-5376 or email us at info@lern.org or use our LiveHelp chat on our Home Page.